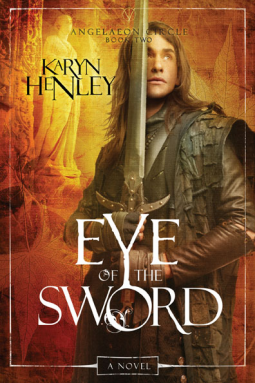 In Camrithia, a land of shadows and mystical secrets, Trevin lives to serve King Laetham. But his heart belongs to the princess, Melaia. When the King sends Trevin on on a dangerous quest to find the missing comains—captains in the king’s army—he must leave Melaia to the advances of a swaggering Dregmoorian prince. Challenged to prove his worth, Trevin throws himself into his quest. Striving to prove his love, Trevin undertakes a second mission—find the harps Melaia seeks in order to restore the stairway to heaven. Through fire caves, rogue winds, and murderous threats, Trevin remains steadfastly dedicated to his quest—even when he is falsely accused of a heinous crime. As Trevin’s time runs out, he realizes he must face the shame and horror of his own past and the nightmare that has come to life. Will he have the courage to finish what he has started?